Money Zombie - HH your money or your Nanach! Some say Rabbi Nachman can come back on his own. They are 100% correct, didn't Josef come out on his own when Moshe said he was going to leave without him, he had no choice. Josef knew, we would not be able to cross the sea without his help. We still did not keep our oath to Josef. That is why we need to learn Yiddish! 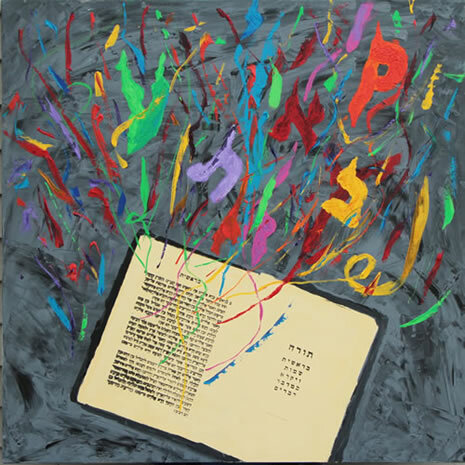 The "Breslev" authorities, yes those that adore Rabbi Natan and do not realize the Petek is the Sefer ha Ganouze, that Rabbi Natan and Rabbi Shimon were not allowed to see in their generation. Those Breslevers are the ones Rabbenu EXPECTS to do their own tikkun and require that the government bring Rabenu here uniting Israel and bringing the redemption. Rabbenus' teachings are that POWERFUL, that these people ARE carrying ALL the responsibility on THEIR shoulders! All I can do is try to learn yiddish so they will listen to me maybe. HH the Torah says that the Divine Presence rests on 22,000, and obviously we haven't witnessed this revelation here, nonetheless the Party head - Sharon Cnafo writes that considering the circumstances (almost no funding what so ever, and other very negative factors which I don't want to delve on...), he was considering about 200 votes, and considers the 2000 a big accomplishment. (In middle of the night there was a rumor that the elections were going to be rejected to do fraud, as is well known that the elections are conducted specifically in extremely primitive standards, where as many third world countries already use electronic and digital systems the Israeli government insists on the most primitive procedure which allows and even invites fraud. Apparently however this was just a wishful rumor). BH a few days ago the Israeli Television - Channel 10, ran a leading show by Amnon Levi about Breslov http://panim.nana10.co.il/Article/?ArticleID=951861 unfortunately it was mostly about one of the charlatan rabbis. A few days before the show was aired one of the members of the Nanach Party for the Knesset acted on his suspicions that the secular mocking host would use this as an opportunity to put the Nanach in a bad light G"F, so our friend called the TV channel a few times and warned them, this was successful B"H in taming their appetite, and they kept the Nanach element out of the main spotlight. On the day of the show, our friend was still concerned and he sent two Nanach to the Knesset to lodge a complaint to stop the show altogether from airing. The official protest costed 700 shekel, and a full day of our exhausted friends efforts (they had been up the whole night). A summons was sent by fax to the TV, but the TV didn't answer it, and therefor the court said they had no power of restraining them. Nevertheless the TV realized how serious the Nanach were and feared further legal action, so they put a disclaimer at the end of the show, the Nanach have no affiliation whatsoever to this charlatan rabbi! This was exactly the message we wanted, and it also served as a great publicity advertisement, as this show is a primetime and had many viewers. Personally - the show didn't appeal to me at all, so I didn't watch it, but from what I understand, although the host spoke with haughtiness and mocking, nonetheless very strong positive things were said about Breslov, acknowledging that it is the most powerful sweeping movement of the 21st century. This is just some of the action and excitement going on, it's hard for to post most of it, so here at least you get a taste. NNNNM! Hashem is found in the Beit Knesset. A person that prays for his friend and he needs that same thing, he is answered first. A person whose mind is humble, his prayer is not despised. A person should always advance prayers before the problems come about. A person that prays with excruciation below, prosecutors can not prosecute him above. Prayers of someone else work better then your own personal prayers, even a Tzadik needs the prayers of others. A Yell is productive for a person regardless if he is holding before the judgment was sealed or after the judgment was sealed. On days of rain, salvation multiplies in the world and merit defenders enter in front of Hashem. A person that is forgiving, his prayers are answered. A person should not raise his head to ask big requests in prayer when it comes to his personal needs, however when it comes to Torah and fear of Heaven, he should ask all he desires. Through prayer a person can change his destined luck. A person that decides to plead in front of Hashem, through this he finds favor in Hashem's eyes. Through faith, hashem hears your prayers. Before prayer give charity and bind yourself to the righteous of the generation. When the public prays it is a time of good will. For all things, regardless if it is a big thing or a small thing, pray about it. A person that has the ability to pray for mercy for his friend and does not request this, is called a sinner. During prayer stretch out your hands as if your are receiving some object. Shabbos and Rosh Chodesh are more auspicious times for raising prayers. Prayers that are done with tears are accepted. When you request something, mention ancestral merit. A person that prays with happiness, Hashem honors him and takes care of his oppressors. A person has to pray for children and all those that come after him. When a person wants to carry out a prayer, pray for the entire Jewish Nation. Through faith the prayers of a person are heard. A person that is humble can cry out in prayer from his heart. Through happiness your prayers will enter the chamber of the King. A person that derives no pleasure from his prayers should pray with a tune. A person that prays with strength, hashem listens to his prayer. A person that does not have faith, his prayers are not heard. When you hear yourself being degraded and remain silent, you will merit that Hashem will answer your request. A person that prays for his friend, through this Hashem doubles for him his goodness. Prayer that is done with happiness is desirable and sweet to Hashem. Thought only goes after the worshiper (Explanation: A person that serves Hashem, it is after him that foreign thoughts chase after to confuse him, more then other people. This is the meaning of 'Thought only go after the worshiper'). Prayers are better when your face is turned upwards. There are prayers that are not accepted above until a certain set amount of money is given to charity that adds up to the amount of letters to the associated prayer. For example; when a person prays "Give me Children", he must give to charity the equivalent of the number of letters "Give me Children". Through prayer a person can change his destined soulmate that was announced for him in heaven. BH history is being made in the most awesome eoic fashion! Israeli TV is showing a clip of Saba Yisroel a few times everyday! It is hard for me to write more because my computet is out of service. People wonder, how is it that often good people suffer and bad people get the fame and fortune, if there is a righteous G-d? For those of you who would rather rely on what is tangible, I have another explanation for you, heavily based on the teachings of Rabbi Nachman of Breslev as interpreted by Rabbi Israel Ber Odesser (Na Nach). As you know, the Amalekite motto is "might makes right". Almost all faiths including and especially the Christians emphasize that G-d wants to save those that are farthest away from him. Rabbi Nachman makes a distinction here, he says that G-d gets the most glory when those that are the farthest away from him repent. Rabbi Israel clarifies further: in this the most spiritually obscure generation, even a small move towards G-d is a greater thing then great achievements of earlier more "glorious" generations. What is tangible about all this? Nothing, except the notion that a scarce commodity has a greater value. That doesn't answer why good people suffer so much and why a happy and wealthy villain would be willing to lower his standard of living and quality of life! Even sacrifice his reputation and gladly accept a life of "failure and misery or to be sacrificed altogether" because THAT glorifies G-d! Sounds far from logic, off the wall! There is a law, that when the day of glory comes to Israel and the just from the nations will all want to live in Israel (together), according to the scriptures, the gates will be shut! You have heard that G-d wants those that are far away to know him and repent. If everything were revealed and the saints were all rewarded according to their merit, all the bad guys would ask for their share and "become" good they would even be professional at it! Even if all the revelations already exist, only the sages can understand them, in order that that the gates don't get shut down on the others. The sages that understand all this are willing to give up on personal glory, to keep the gates open. These saints know what Paradise is because they are already there. That is how Rabbi Akiba was laughing while he was being tortured and didn't want his executioner to make things easier on him, it is also the way his executioner was able to secure a well earned place for himself in heaven in record time by jumping in the fire along with the Rabbi! If you also want to jump into this fire CONNECT YOURSELF TO WWW.nanach.net i N O W ! "Na Nach" Breslov party runs in election. "Eretz Yisrael was given to us in the Torah. We know what we're fighting for," stated Moshe Yanai. A new political party called Na Nach - Kulanu Chaverim (We are All Friends) is running in the upcoming Knesset elections. The party promotes the power of prayer and the study of the teachings of Rabbi Nachman of Breslov. The head of the party, Sharon Knafo, survived a terrorist attack in Jerusalem in 2001. Hamas terrorists detonated explosives in Jerusalem's busy Ben Yehuda Street. The bombs were packed with rusty nails dipped in rat poison in order to inflict as much injuries and deaths as possible. Thirteen people were killed and 188 were injured. Knafo, then 24 years old, was hit by approximately 100 nails. One of the nails narrowly missed hitting his heart. The nail was stopped by a coin in Knafo's wallet which he kept in his front shirt pocket. The number 2 on the party list is Lior Shai Tzafrir, was affected by terrorism as well. His parents were murdered in a terrorist attack when he was 3-years-old. Moshe Yanai, number 4 on the party list has been serving as the group's English spokesperson. He spoke to Arutz Sheva about their ideology. "Usually we spend time spreading the wisdom of Rabbi Nachman," Yanai stated, referring to the hasidic teacher who was a grandson of the Baal Shem Tov, founder of the hasidic movement. Although he passed in 1810, thousands visit his grave site in Uman, Ukraine every year. 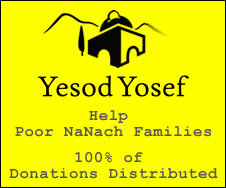 Yanai and his colleagues are particularly influenced by Rabbi Yisroel Dov Ber Odesser, an Israeli born rabbi who dedicated his life to spreading Rabbi Nachman's teachings. Rabbi Odesser, who passed away in 1994, was known to his students as "Sabba" or grandfather, was inspired by a note signed "Na Nach Naman Me'Uman." The group is known for playing music in the streets and dancing, as they sell books and CDs on hasidic philosophy. They also visit hospitals, army bases and other places to spread their unique brand of joy and Judaism. On their official registration as a political party they listed their platform as "faith, trust in G-D, happiness, and peace and unity in accordance to the path of Sabba Yisroel." "We have mostly been engaged in volunteering and do not personally benefit from our activities," Yanai stated, "But now we want to take it one step ahead," he said. "Rabbi Nachman has the answer to the world's problems, to bring emuna, and belief." Yanai lives in Elad, a city along the costal region of Israel. After high school, he served in the Israel Defense Forces. Regarding the annulment of the Tal Law, which offered draft deferments to full time yeshiva students, Yanai expressed his opinion. "The draft should be done with a smile," he commented. "I think yeshiva bochers would like to serve, but in a way that they can continue to to live religiously. He can have gemara and Torah study half a day and another half a day train. No soldier can train 24 hours a day anyway. I think the yeshiva boys are very strong people. But do the politicians really want thousands of yeshiva bochers with guns?" He also opined that perhaps army service could be shortened to less than the mandatory two and a half to three years for males. "When you're young and study Torah, you have a lot of drive. If we had them in the army, then our army would be invincible," He stated. Yanai added, "the current religious soldiers, the kippah srugah community, they enlist the most," he stated, referring to the "knitted kippah" religious Zionist public. In line with the party's philosophy, prayer and belief are Yanai's main talking points. "You think physical strength comes from vitamins? They [the soldiers] believe in Eretz Yisrael. They know who and what they're fighting for. It's written in the Torah that this is our land. But when a person is taken farther and farther from his ancestors, then he becomes frightened," Yanai said. Yanai related some stories of when he and his colleagues came to sing, dance and teach Torah on IDF bases. "Every time there is war, we volunteer and we find some soldiers that are not so brave. They don't know what to expect. Whoever is driving them, is surrounded by politics. But when you offer them encouraging words, it institutes a new spirit. It feels different then trying to go into battle after having just been to a discothèque or watching TV. Throughout our history we have been few against many." As far as the Disengagement and a Two-State Solution is concerned, Yanai says the party is also Torah oriented. "Our stand is a Jewish stand," he said. "We believe that Eretz Yisrael was given to the Jewish people. We stick to that. But we believe that there are some Arabs who just want to live quietly in peace, and we hope the rets of the world will live in peace along with us." Other party members have expressed similar thoughts. Knafo said in an interview with the Cneset19 website that they would not tolerant rocket attacks or those that no not recognize their right to exist, but they also wanted to express and vision of peace and unity with others. Yanai elaborated, "we want the world to start to proceed toward the Geula, redemption, a new age, a more real way of living and thinking. I believe that every political party has a true and good purpose behind them that initially brought them to run for Knesset elections. But we need to focus on true point, not political manipulation." Yanai said he was pleased with the positive reaction from the Israeli media. "We are a small party, We are not attacking anyone. We are not taking votes away from anyone else. We are just simple people who think the world should be a better place. In regards to the economy, Yanai said, "there too much of a drive for money. We believe altruism is stronger then the rush for materialism." However he remained positive stating, "there are numerous good-will organizations. More and more people are interested in the environment and green energy. Groups want to fix the world, and this is all part of the redemption. You don't need a lot of money to live well. We believe in the power of prayer. Rabbi Nachman says that the main weapon of Moshiach is prayer." Elections are scheduled for January 22nd. The views and opinions expressed are not nessesarily those of Arutz Sheva or its staff. Arutz Sheva does not endorse any particular political party. Stay tuned for two upcoming election specials. On Thursday, January 17th, Arutz Sheva's Aliyah Fever show and Israel Vibes will host a live streaming video and audio cast featuring interviews with various candidates. On election day, January 22nd, Arutz Sheva and the Orthodox Union will feature a live streaming video and audio cast from the OU Israel Center in Jerusalem featuring interviews with various candidates. Click here for details. Flesh Over Fire 600000 In One Stomach 90610 HH also very worthy in commemoration of R' Zusia - feel this song!!!! The Nanach Are Going To Be Inside 90622 1 - HH in honor of R' Zusia who would undoubtedly be one of us Nanach today!!! HH even though Nanach is for the whole creation only a very select few take advantage and grasp on - thus Nanach is like an exclusive club, and those special members have worlds and worlds of privileges and benefits - even in this world - they are privy to the enjoyment of hundreds of Nanach songs, movies, and other Nanach media - of which the stupor of the whole world keep them oblivious!!!! This is a ready PLATFORM for NANACH!!! anti-Nazi! Palestinian Authority chief Mahmoud Abbas spoke glowingly last Friday of the “legacy” of the infamous Hajj Amin al-Husseini, who was a collaborator with the Nazis, and was prepared to conduct the mass murder of the Jews of the Land of Israel in the event of a Nazi invasion. The Mufti, Abbas said, was a great man whose ways should be emulated by all PA Arabs, and was worthy of great praise. Speaking to Arutz Sheva, David Bedein, the director of the Makor Yisraeli news agency and the Center for Middle East Research, said that Abbas made the comments during a Fatah march in Gaza last Friday. It was the first time in years that Fatah terrorists had been given permission by Hamas to march, and Abbas spoke to the marchers via video feed. Abbas, Bedein said, wrote his doctorate at the University of Moscow on how the World Zionist Organization, not the Nazis, was responsible for the destruction of European Jewry. Given this, Abbas's praise of the Mufti, the ultimate “Arab Nazi,” was very serious, and needed to be publicized, he said. The Mufti was also the antecedent of Fatah, which Abbas is currently chairman of. After the Mufti was forced by the British to leave Mandatory Palestine, he took up residence in Europe, and met Hitler in Italy. The two agreed that Hitler would murder the Jews of Europe, and that he, the Mufti, would organize the murder of the Jews of the Middle East, when the time was ripe. During the war, the Mufti broadcast pro-Nazi propaganda in Arabic from Berlin. Later he reached Cairo, where he was one of the founders of the Arab League, which adopted the pact between the Mufti and Hitler as a basic document of the organization. Bedein also slammed the Israeli media for ignoring Abbas' speech praising the Mufti. Bedein said he received information about the speech from PA Arabs who heard it themselves. He sent the information about the speech to Israeli media, but they were apparently not interested, he said. Bedein said that he also sent the data to President Shimon Peres, Prime Minister Binyamin Netanyahu, and Bayit Yehudi chairman Naftali Bennett, but none of them have responding privately or publicly yet. Song for: Do not be bewildered! B"H this is an "old" song - music by Raanan Nachal of Meron - the words are from the English Ebay Hanachal cover - Blossoms of the Spring: Do Not Be Bewildered or confused from anything in the world, for thank G-d we have broad shoulders to rely upon - Na Nach Nachma Nachman MeUman!!!! If I were to solve all the worlds problems with one word that everyone could put to use immediately, it would be be "brotherhood". The third word in the motto that France chose after their bloody revolution. The word the united workers were big about when Communism and Socialism were beginning to form. Surprised? The word brotherhood, is NOT Communist or Socialist, or French Nationalist, or Islamist. The word brother is a founding principle from the Old Testament. Among equal brothers, there is one called Josef, who is different and has a leadership function. How does the US Constitution differ from the French? The French say: Liberty,Legalite, Fraternite (liberty, justice, brotherhood) The Americans say: Freedom, Justice for all. Brotherhood is replaced by "for all". "One Nation, under G-d, with Liberty and Justice for all...". Basically an American is a citizen of the world who intends to make everyone benefit from Liberty and Justice. His Nation will help him do that. Does he consider himself their brother? The French wanted to spread their culture, at a price, the Americans are following in the footsteps. Does a person need to be a Frenchman or an American to be a "Brother"? Of course not, a brother is a person who does everything to help his peer as he would his own brother, or himself, he doesn't consider himself better or worse then the others, paradoxically, that makes him a leader. There are communication barriers, but the accepted principle are that all men were created equal. There is one major flaw for this to work, this flaw is causing all the havoc. When the brothers would not accept the leadership function of Josef, they could no longer consider themselves equal compared to one another and the competition for who was the better had begun. For brotherhood to work "permanently" a divinely appointed "KING" needs to be revealed. Before this King we are indeed all equals. Today, we don't know who the King is, but we do know who his opposite is. And we know who is the opposite of the opposite! Na Nach Nachman Nachman Meuman! If my people would only be together, friends, close neighbors, getting along, I would be with you! The New Na Nach mobiles! There are hybrids. There are electric cars that plug into a wall and get their juice from whatever mix the electric company is offering. And then there are electic cars that are charged by solar panels on the roof of one's house. They never need gas, and the power is free after the set-up cost. We wondered: How tough is it to do this? Are electric cars hard to find? Is it difficult to get a rooftop solar collector set up? Here are the stories of two guys whose vehicles run on empty. Darrell Dickey with his RAV4 EV and daughter Kyra. Darrell Dickey regularly commutes to work 24 miles, one way, by bike. But when it's too cold or wet for the bike, or when he and his family travel long distances from their home in Davis, California, he drives a battery-powered electric vehicle that he charges with photovoltaic (PV) panels mounted on his garage roof. "Five years ago, I spent about $45,000 and got a brand new car (the RAv4EV) and the solar system," he says. "We're still driving the car every day, and the solar system will continue to make fuel for whatever EV we drive in the future. For $45,000 we bought a new car and fuel for the rest or our lives." In 1996, Dickey was invited to test-drive the GM "Impact", which he then leased for two years. (The Impact later became the EV1, the first modern electric vehicle.) "We loved that car and hated to give it back," he says. But the Toyota Rav4EV had just become available for purchase, so he bought the electric vehicle he is driving today. Dickey says the inspiration to drive electric comes from having a child. "It would embarrass me to have to explain to my daughter why we continued to import and burn oil when we knew the consequences," he says. "Having no tune-ups and no trips to the gas station ever is just icing." By installing a solar system atop his garage, Dickey took the next step in driving a totally clean car. "Now," he says, "I can deflect the comments that my 'electric' car is just a 'coal-burning' car. EVs are the ultimate flex-fuel vehicle. You can make electricity out of just about anything: sun, wind, natural gas, coal—even gasoline! Your fuel can be totally domestic, or in my case, totally local." Asked how long it will take for the PV system to pay for itself, Dickey replies: "If we think of everything in terms of what it costs us in the short-term, we're screwed. It's the same argument people use against the Prius: When will it pay back in gas savings? But that only accounts for the money paid at the pump. What of the billions of dollars that leave our economy for oil, or the billions of our tax dollars that go toward tax incentives for oil companies? What of the cost of the military and the lives lost to protect our oil?" But the short answer for the solar pay-back, he says, was "the instant I turned my system on." Dickey had been paying $75 a month for electricity. He took a loan out to buy the PV system, and pays $70 a month toward that loan. "My electricity and gasoline bills are now zero, and next year when my loan is paid off, this investment will be paying me probably for the rest of my life. My PV system covers the power for my home and my car. It displaces $90 worth of electricity and over $100 worth of gasoline every month. So my estimate of how long until the system pays for itself is no time at all!" Dickey says the Rav4EV is the best car he's ever owned. "My wife commutes in it 40 miles a day, five days a week. We drive it for our weekend outings and it does errands that are too far or too bulky for the bicycle. It has never been tuned up, and I've spent about $50 total on it for maintenance. My wife has not been to a gasoline station in seven years and 70,000 commute miles—not once!" Stephen Weitz's truck touts its own benefits. BH Sharon just posted that if you have your keyboard set on Hebrew and you type BRES - you get נרקד - we will dance! Most people consider forgetfulness to be a big defect. In Rebbe Nachman's eyes forgetfulness has great benefits. If forgetfulness did not exist, it would be impossible to do any action in Avodas Hashem. If a person would remember everything that he passed through, he would be completely unable to pick himself up to do Avodas Hashem, no matter what. Additionally all the things that a person is currently dealing with would cause him great confusion. Now that forgetfulness exists, a person can forget all of this. Rebbe Nachman himself used to act in the following way; everything that already occurred, he would consider over and completely finished. He would not allow it to enter his mind again at all, and did not confuse himself at all with previous events that already occurred and are now over. This is a very great technique to use for serving Hashem. Very often a person experiences much confusion and great confoundment in his mind from events that took place in the past. This is especially true during times of prayer. While praying all his complexions regarding the past come to him, confounding and mix up his mind. Sometimes a person has confusions regarding his business dealings, daily life etc.., that he did not act properly regarding this and that, and he should have acted differently, or many similar perplexions. There are also those that fall into confusion at the times they study and pray regarding the spiritual flaws they committed earlier, they are confounded with thoughts of how they acted improperly in front of Hashem, and many other variations of these thoughts, as is well know to each person. Therefore forgetfulness is a great method to prevent this. Immediately after something happened and is over, a person should remove and banish it from his mind completely, totally distracting his concentration from it and should not continue to think about it any more. Understand this technique well, since it is a very powerful method. A rebuker has to say his rebuke by binding his words to its source, then his rebuke will be accepted. A Jew that converted to another religion, do not rebuke him since it will not help. As a result of not accepting rebuke a persons (home = Maono ???) is destroyed. A person that rebukes the world without wisdom, through this he arouses, Heaven forbid, big exile and subjugation from the nations. A person should never exclude himself from the group (when giving rebuke, he should include himself as well). For the sin of rebuke causes Hashem to go back on the good that came out of this mouth. In a situation where you know they will not accept rebuke, leave them alone. A person that is afraid of certain people to rebuke them, in the end Hashem breaks him in front of them. A person who knows how to warn others and does not warn them, even his friend gets punished due to him (See if there is a better transalation for this). Through giving charity you will merit to accept rebuke. A person that does not accept rebuke, is sentenced to death. Through the rebuke that you rebuke, you will rest in the grave without the suffering of Gehunim and you will merit Gan Edan. It is permissible to push away with both hands a person that did not accept from you rebuke. As long as there is rebuke in the world, satisfaction, goodness and blessing comes to the world. Through rebuke judgments are sweetened and loving kindness is extended. A person that brings people that are far from Hashem to serve him, the blessings are given over in his hands. A person that hears rebuke and it is not accepted by him, he should know that he will have to brow from others. Through going out to greet and important person, the ten saying with which the world was created are awakened, these are also awakened by bringing the far close to Hashem. B"H just saw this in an article: They (the Pirate party) are not the only long shots in the race. Other parties this time include a fringe anti-Zionist rabbi who's trying to bring secular Jews back to religion, a joint party of Ethiopian and Indian Jewish immigrants and a charismatic Hassidic movement famous in Israel for blasting religious rock music out of vans and starting impromptu dance parties on the streets. BH the Nanach party, although without any budget whatsoever, has recently printed quite a bundle of awesome graphic Nanach stickers, and they are working on wrapping up the Nanach Party's Platform. About a week ago an Israeli university had 1200 students vote - 2 of them voted for Nanach (.16%). Keep in mind that the Nanach Party is not really counting on these votes, rather on the votes of people who ordinarily would not vote but choose to "protest vote" in the past such votes have brought up to 9 seats in the Knesset. Elections are coming up, so anyone who has anything to contribute should do so a.s.a.p. the lyrics can be found on the Hebrew na-nach.net. The Na Nach mobiles can go for $1.31 a day! Let's do the math folks, it's all available on line so please check this out, and prove me wrong, everyone can make mistakes especially regular people like me. An average photovoltaic solar panel produces 250w/h for 1m2 price $300,- 25 yrs at 80% eff. Let's say the panels produce for only 8 hours (you charge you car batteries during the day). For ONE DOLLAR and THIRTY ONE CENTS a day! As it is even using the socket to charge your e-mobile you are saving $160,- on gasoline at US prices (Europe is bigger savings AND faster charging). The solar panels can be adapted to charge your car only, so the charging could go very fast. One dollar a day for 365 Km. Please do the math and tell me if I made a mistake.